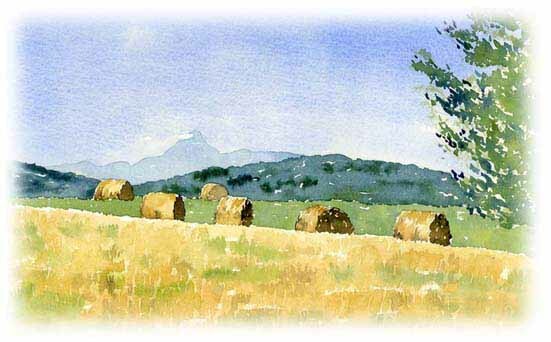 Whether you live in the Ariege, or are spending a holiday in the region, why not treat yourself to one of Lesley's watercolour classes. 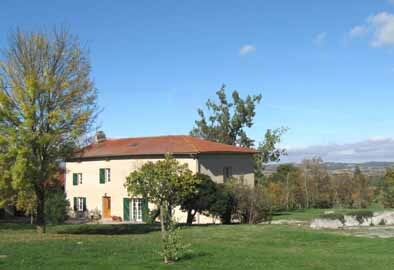 Classes normally take place at Lesley's home, La Maire', just west of Pamiers. 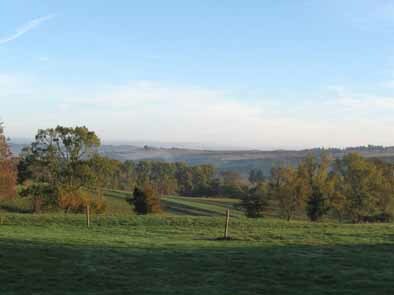 Weather permitting, they will take place outside in the extensive grounds, where you will find there is plenty of inspiration for watercolour painting. Lesley is a trained secondary school teacher and professional watercolour artist. She started teaching watercolour classes in Maidenhead in 2007 and her workshops and courses have since proved to be very popular. 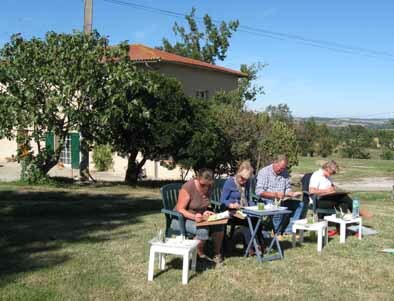 Lesley and her husband Dave have now moved to their French farmhouse in the heart of the French countryside, a perfect location for watercolour painting, and Lesley is now offering classes from their new home. Watercolour classes at your own home. If you prefer not to travel, Lesley can also deliver classes at your own home. Why not get a group of friends together for a day of painting! Classes are available either for individuals or for small groups of 2 - 6 people, either over a day or half a day. If you are completely new to watercolour painting and would like to understand the basics of watercolour technique, Lesley will introduce you to watercolour materials, mixing colours, laying a wash and the wet-on-wet technique. She will provide step-by step demonstration and ample time and materials for you to have a go. Absolutely no artistic ability or previous experience of painting is necessary. Above all, Lesley wishes that her classes should be fun and enable participants to have a go at painting in relaxing and convivial surroundings . If you already have some experience of watercolour painting, or have attended one of Lesley's classes as a beginner, Lesley will tailor the class to your wishes and requirements. Either let her know in advance what you would like to work on, or let her surprise you! You might prefer to concentrate on a specific subject or technique, or simply paint in the garden under Lesley's guidance. Cost of day classes includes a 2 course lunch and drinks throughout the day. "I have so enjoyed our classes and the skills gained as well as making new friends. It has been a real treat to work in such small friendly groups under your expert tuition"
"Your reassuring manner made it possible for me to create a picture that I decided was actually worth having professionally framed." "Lesley’s thorough approach helped tremendously to improve my technique. Very good enjoyable tuition, which I totally recommend, whether you are just commencing or wish to improve, you will have a great time!" "As a complete beginner working with watercolours, I loved the fact that from the first lesson, there was an element of success, which has given me the confidence to try what I'd learned at home." "I enjoyed your classes so much. The way you gave us instruction meant that even a rank beginner like me could leave at the end of the day/morning with something that actually seemed quite a respectable painting. I felt quite proud of the paintings I took home. Certainly my old art teacher at school would have been amazed as I was consistently bottom of the class!"